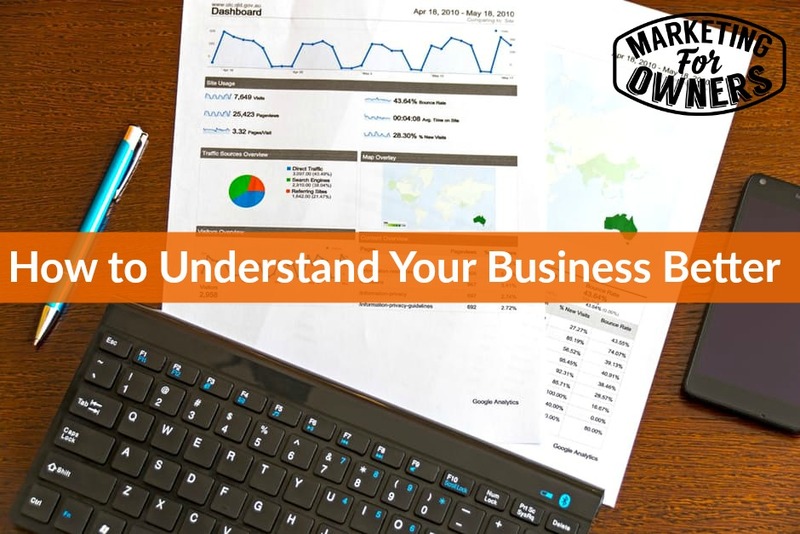 In your business no matter how small or large it is, you need a better understanding of the business — which generally means the numbers. This does not mean that you need to know how to do everything such as book keeping, packing and shipping, or whatever you do. You just need to handle on the ins and outs of the business. If you don’t “get” your own business, you will never understand your customers problems as to how it relates to your business. The other thing is that your business can get away from you and you not even know that things are as bad as they are. And the best way to get a hold of your business is through the numbers. In many businesses, the owners don’t really know any of the financials going on such as profits, losses etc. They wait for the accountant to tell them at the end of the year — and by then, sometimes it is too late. You need to know NOW — not later. You need to know your financial figures at the end of every single month. That might sound outrageous, but that is because you have never done it before. You need to be organized enough to know this information. You can do this by starting with a book keeping software. Your accountant should be able to produce a report for you that shows you these numbers at the end of the month. And if they can’t — then it is time to get you another book keeper my friend. I had another friend who was looking at the numbers wrong. Now — there is a difference between mark up and margin. They were working on one and not the other. They were working on the wrong one. By the time they find out, it was after the end of the year and it was too late to fix things. He actually was able to survive, but that business did not, and now he knows better and is doing better. The best thing you can do is to try to do monthly management accounts. Have them done for you. Have your accountant help get this set up. You don’t have to be the accountant, but you do need to know what is going on. If you need help understanding them, ask for help. Find someone who can show you, such as a coach or a mentor, and get them to help you understand. It’s that simple. Today is Tuesday and it is time for a toolbox tip. Today I am recommending Zapier. It is free but there is a paid version as well. In a couple of weeks my interview with Wade Foster will be up and he is the co-founder of Zapier. I have mentioned the tool before IFTTT, which is similar to this one, but it is more world wide ranging. It works with over 750 types of software. You can make it do things that help you save time and effort. Visit Zapier and watch the demo video. It can explain it much better than I can. Be sure to tune in tomorrow for the expert interview series and I will be back Thursday with some more tips for you.